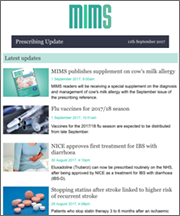 Sign up below to receive regular MIMS prescribing news and updates direct to your inbox. 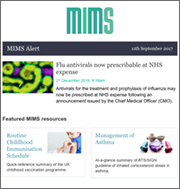 Weekly summary of the latest drug and licence changes. 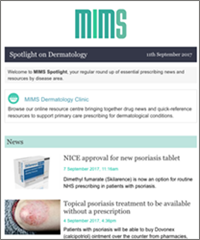 Monthly round-up of key prescribing news and resources, each issue focussing on a particular therapeutic area.